August 5, 2015 June 29, 2015 / Julie Brook, Esq. If a full-blown mock trial is out of your budget, then get a focus group together. For the cost of $50 per juror plus pizza, you could spend the most productive and useful evening of your trial preparation. 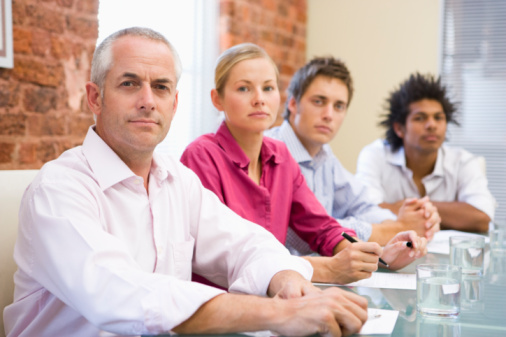 The goals of a focus group are to understand how mock jurors react to specific case issues, assess which approaches to the issues work best, and develop strategies for best handling those issues. Get mock jurors. Recruit six to 12 individuals who are a representative sample of the possible jury pool. Ask the staff in your office if they have friends or family who might be interested in participating. Many times these people will be excited to be involved. And some cash and pizza make it a savory deal! Have each side tells its story. Give each side about 5 minutes to tell its story. You can use an abbreviated version of your opening statement and closing argument. To present the parties and witnesses, you can show clips from their deposition testimony. Make time for questions. Then allow the mock jurors to ask questions. This will help you see which issues are important to the jurors and what needs to be clarified. Give out jury instructions and verdict forms. Following the question-and-answer period, give the mock jurors copies of the jury instructions and verdict forms and instruct them to deliberate on the issues and reach a verdict. Carefully observe the mock jurors as they deliberate to pinpoint possible problem areas that require either further explanation, expansion, or both. Of course it’s very useful to practice your own side’s presentation in front of the mock jurors, but perhaps even more useful is to have an attorney on your team prepare and present the other side’s story. Getting your mind on the other side is very important; picking the key points for the other side can help you learn and improve your own argument. Consider telling the mock jurors that they are participating in an arbitration and that their input will help resolve the disagreement in a peaceful manner. This will make them feel as if they have a stake in the outcome and thus will be more likely to concentrate and take their roles seriously. A focus group can raise issues and concepts you wouldn’t have thought of and could be pivotal to your case. It can also help you hone in on the key factors in your case—which may not turn to be what you thought they were. Although not everything will be easy to hear—particularly comments on how you are personally being received—it’s an important learning experience. You should always be passionate, the issue is to what degree; a focus group will let you know if your passion is going over the line. Get much more practical advice like this from trial veterans Joseph Cotchett and Nancy Fineman in CEB’s newly updated Persuasive Opening Statements and Closing Arguments.